Pioneer’s Elite Dolby Atmos lineup has repeatedly been praised by audiophiles for having the best-in-class sound in its price class. The entire range comprises of the SP-EFS73 floorstanding model, the SP-EBS73 bookshelf, the SP-EC73 center speaker and the SW-E10 subwoofer and, is designed by renowned designed Andrew Jones, who’s more known for designing high-end systems with jaw-dropping price-tags. While all the speakers in this line more than hold their own against the competition, the shining star of the lineup happens to be the SP-EFS73 floorstanding twins that come with what their designer calls a ‘Coherent Source Transducer‘, which is, in essence, a Dolby-enabled concentric driver that puts a 1-inch silk dome tweeter at the apex of a 4-inch aluminum midrange driver. The speakers come with a true 3-Way design, with each major frequency band represented with separate high, midrange and low-frequency drivers. There’s also “quad gold-plated 5-Way binding posts, and multi-element complex crossover technology”. 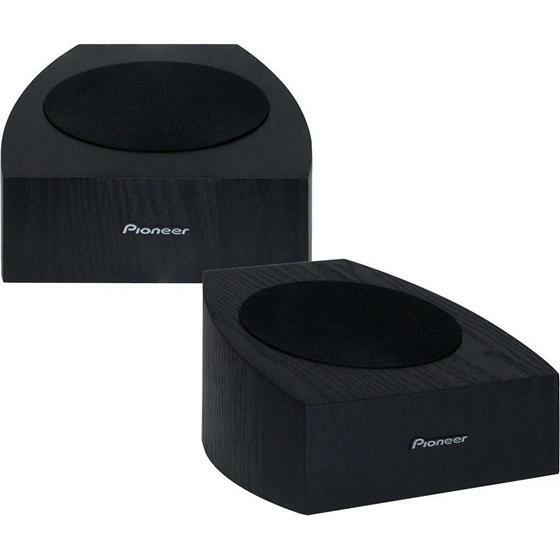 According to Pioneer’s official website, the Elite bookshelf speakers are ideal for either main front-channel or rear-channel speakers in most surround sound systems. The bass from the speakers is full, fast, tight, dynamic and low, thanks to and a 1-1/2-inch long throw voice coil and an oversized magnet that ensures greater bass control. 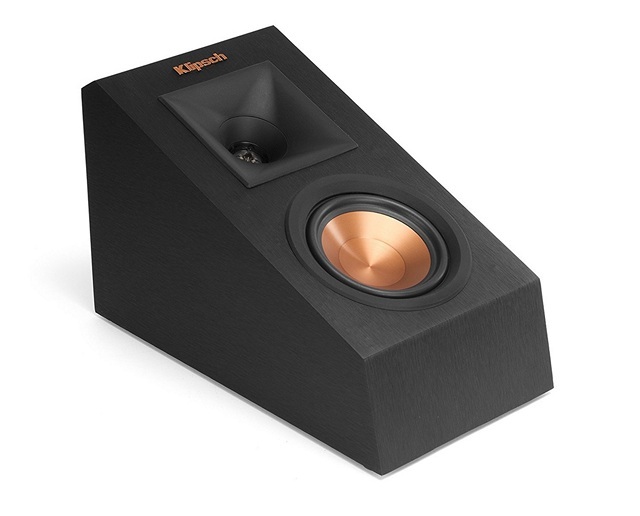 If you want to use something more high-end than the Elite SP-EBS73, but find our premium recommendation, the Definitive Technology BP9080x a bit too rich for your taste, then the Klipsch RP-280FA is just perfect for you. 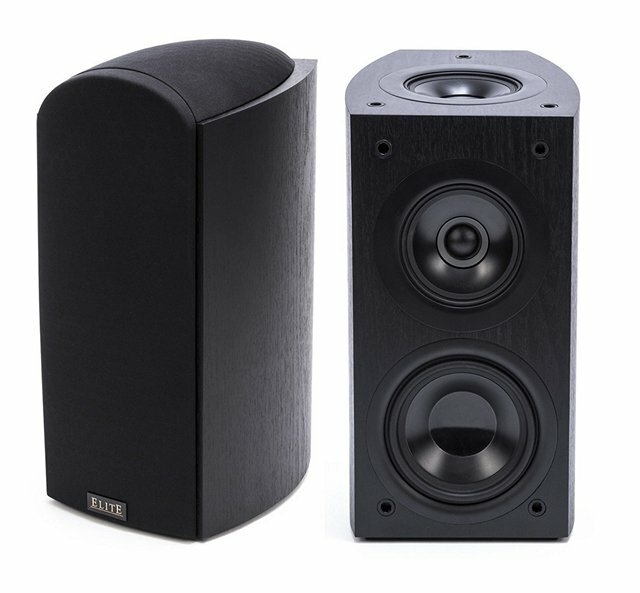 The Kipsch RP-280FA is one of the very best mid-range floorstanding speakers that come with Dolby Atmos support. Sure, you can buy speakers worth tens of thousands of dollars, but the RP-280FA will get you the most immersive and impactful 360-degree Dolby Atmos listening experience at a relatively affordable price. It’s redesigned Tractrix Horn utilizes “a circular horn throat paired to a square horn mouth to further improve high-frequency response and extension, while enhancing imaging and dynamics”. As with earlier Reference lines as well as with the company’s flagship Palladium series devices, the RP-280FA also comes with LTS Tweeters that maximizes dynamics for enhanced, detailed performance. The speakers ship with removable magnetic grilles, and have minimal cone breakup/distortion thanks to the cerametallic woofers. Overall, these are the very best floorstanding Dolby Atomos speakers you can buy right now in terms of the price-performance ratio. 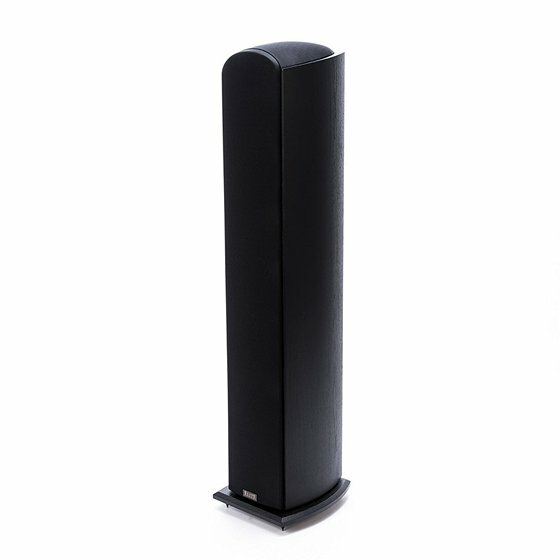 Definitive Technology’s BP9080x is a high-performance tower speaker that operates in the frequency range between 16khz to 40khz and has wide and immersive sound dispersion. Its Forward Focused Bipolar Array offers the perfect real-world balance between room-filling sound and a precise center image, while giving you total placement flexibility. Its second-generation patented BDSS high-definition drivers produces life-like tonal balance, excellent ineligibility and broad dispersion. The speakers come with aluminum dome tweeters, high-performance drivers, an integrated 12-inch, 455 watt powered subwoofer and Intelligent Bass Control with dual bass radiators, while its two-way integrated Dolby Atmos / DTS:X height module lets you explore true multi-dimensional sound. In terms of aesthetics, the Definitive Technology BP9080x comes with a slim, minimalist design, with each unit taking up just a shade over 1 sq.ft. of floor space. Overall, the BP9080x does not come cheap, but its performance is well worth the price for dedicated audiophiles. One thing to remember here is that the price shown below if for an individual unit, so do keep that in mind. If you’re a little tight on your budget or love your older speakers way too much to throw them away for a brand new set, you can easily buy a pair of add-on speakers for the full Dolby Atmos experience. While these speakers vary wildly in price, one of the very best you can buy comes for just $199.99, so you don’t really need to pay an arm and a leg for a great acoustic experience. The Pioneer SP-T22A-LR top firing speakers promises to make any flat top speaker compatible with Dolby Atmos and DTS:X. It’s concentric drivers includes a 4″ woofer and a 1/2″ tweeter for improved frequency response and sound placement, and has gold 5-way binding posts for more secure speaker wire connection. The Pioneer SP-T22A-LR comes with RF molded curved cabinets to reduce vibrations for accurate, tight and more powerful bass. Talking about bass, these add-on speakers incorporate a unique multi-element crossover to send the bass and midrange to the woofer and the high frequencies to the tweeter. According to Pioneer, it is this advanced circuit within the SP-T22A-LR that “tunes its acoustics to deliver the directional, focused sound required for Dolby Atmos”, while matching the tone and fidelity of standard speaker. Note: If you’re looking for even cheaper options for your Dolby Atmos-enabled add-on speakers, you should definitely take a look at the Onkyo SKH-410, a pair of which can be yours for just $89.99. Another very good option at the sub-$100 price-point is the NHT Atmos Mini Dolby add-on speaker that is currently listed on Amazon at just $99. On the other hand, if you’re looking to extend your budget a bit, you can also buy yourself a pair of Elac A4 Debut 4″ concentric Dolby Atmos-certified speakers (designed by Andrew Jones, no less) for just $229.98. The Reference Premiere RP-140SA is one of the very best speakers you can buy to add the Dolby Atmos experience to your existing floor standing or bookshelf speakers. According to the product page on Klipsch’s official website, the device has a “1-Inch Linear Travel Suspension Titanium Tweeter, 4-Inch Spun Copper Cerametallic Cone Woofers and 90×90 Hybrid Tractrix Horn”. It also comes with the all-new Tractrix Port. The speaker cabinets are made out of MDF (Medium Density Fiberboard) and has a brushed polymer veneer baffle finish with a strong, flexible and removable grille. In addition to delivering the Klipsch Dolby Atmos sound, the RP-140SA Elevation Speaker can also double up as a surround sound speaker that can be mounted on the wall. The RP-140SA comes with a redesigned Tractrix Horn that utilizes “a circular horn throat paired to a square horn mouth” in order to improve high-frequency response and extension, while enhancing imaging and dynamics. According to the products listing page on Amazon, “the compressed molded rubber construction adds high-frequency damping to minimize distortion and improve detail”, creating a clean, distortion-free, natural sound. 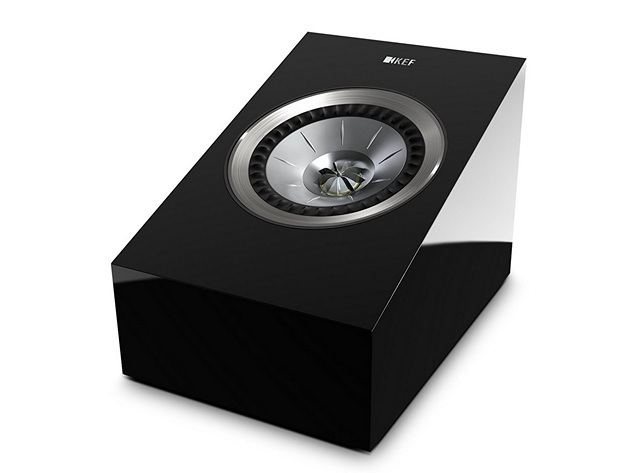 KEF is a well-known UK-based manufacturer of acoustic systems and loudspeakers, and one of its very best products is the R50 that features the latest and most sophisticated ‘sit anywhere’ Uni-Q driver array to beam the sound upwards so that it’s reflected by the ceiling to replicate the vertical dimension for the best Dolby Atmos experience. As any add-on speakers, these are also designed to be placed on top of existing floorstanding speakers, bookshelf speakers, or home theater speakers. The KEF R50 speakers uses a “1-inch tweeter at the acoustical center of the driver array’s 5.25 inch mid-range driver”, which enables it to deliver better clarity and dispersion. Overall, it’s a great speaker that will cost you a pretty penny, but if you value an immersive home-theater experience above all else, this is the device you need to put on top of the floor-standing speakers in your man-cave. The Pioneer Elite SP-EBS73 is the bookshelf unit from Pioneer’s incredibly popular Elite line of Dolby Atmos speakers that come highly recommended from many audiophiles for what these devices deliver at their respective price-points. While the floor unit is one of the best affordable speakers you can spend your money on, this bookshelf unit also wins our recommendation with the best price-performance ratio in the bookshelf speaker category, and not just in its own price-range either. The SP-EBS73 comes with a “true 3-way design”, which means each major frequency band is represented with a separate high, mid-range and low-frequency driver. The SP-EBS73 is that it also comes with a Dolby-enabled top-firing concentric driver, eliminating the for add-ons to get the perfect multi-dimentional Dolby Atmos experience without installing ceiling speakers. 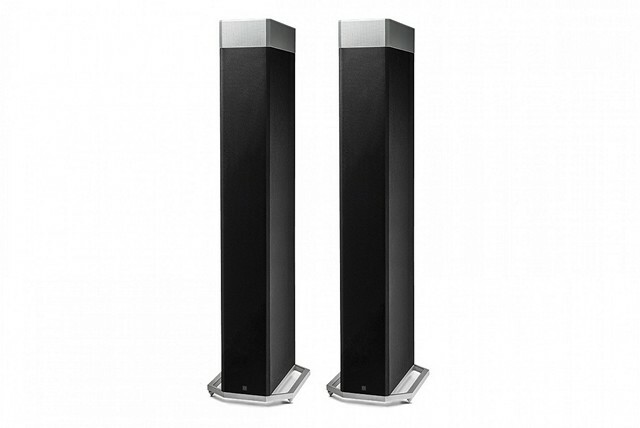 The specs of the SP-EBS73 are not too different from its floorstanding counterpart, with Pioneer’s proprietary CST (Coherent Source Transducer) drivers allowing the speakers precise control on sound directivity at all frequencies and, reducing interference between the mid-range and tweeter. According to Pioneer, there’s a 1-inch tweeter that’s “positioned centrally at the apex of the 4-inch midrange drive unit. Unlike a coaxial driver, which positions its high-frequency driver further forward of a larger cone, the CST concentric design eliminates audible time domain errors which cannot be avoided when drivers are not aligned on the same axial or vertical plane”. 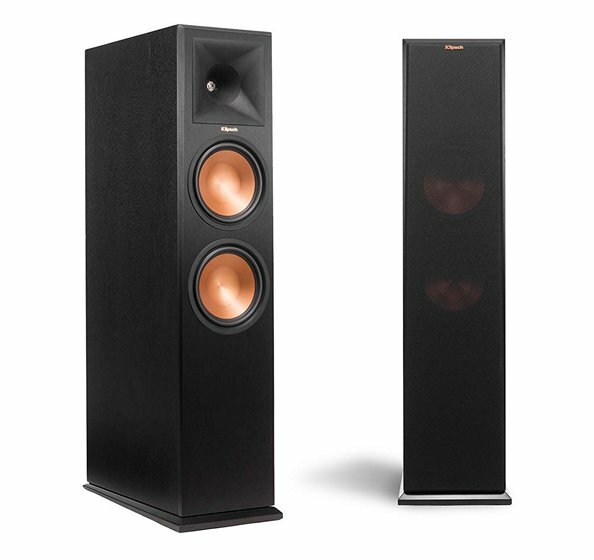 The Reference Premiere RP-450CA center channel speaker is one of the very best in its category. It is built on the same acoustic platform as the RP-450C, which means that it delivers a clear dialog and a pronounced soundstage for an optimized Dolby Atmos experience. The speaker incorporates an 1-inch linear travel suspension titanium tweeter and quad 5.25-inch spun copper cerametallic cone woofer. It comes with a 90×90 hybrid Tractrix Horn and an all-new Tractrix Port. The RP-450CA brings gorgeous new aesthetics into the lineup by introducing real wood veneer finishes, which means you can buy the RP-450CA in Walnut Wood Veneer or Black Wood Veneer. The speakers also have premium build quality with exceptional rigidity and lightweight construction for minimal cone breakup and distortion. The device also comes with a strong, flexible, removable grille up front. 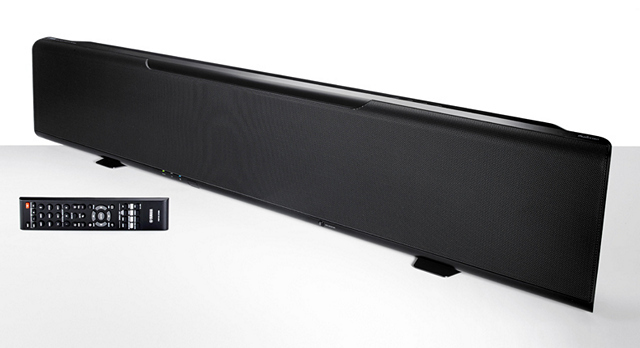 Yamaha claims that the YSP-5600 is the world’s first sound-bar with 7.1.2-channel multi-dimentional Sound. It features HDMI inputs with 4K Ultra HD pass-through and HDCP 2.2. The device employs 46 speaker drivers and provide wireless multiroom audio playback using your Wi-Fi network by adding other MusicCast speakers, sound bars or AV receivers in other rooms. While it offers support for Dolby Atmos out-of-the-box, it will also be compatible with DTS:X via a future firmware update. The device allows you to access your music library as well as Pandora, Spotify, Rhapsody and other streaming services via Wi-Fi, Bluetooth, AirPlay and Spotify Connect. The Yamaha YSP-5600 is designed with 44 beam drivers and two woofers in order to create 7-channel sound beams, with the height channels created by placing six array speakers on each end of the unit (a total of 12). Overall, this is one of the best options in the market today if you like the ultra-minimalist Speaker Bar form-factor, as you get great sound without having to mount ceiling speakers or run speaker wire. So you’ve checked out every single product on this list, read their reviews, watched their videos, and wish you could buy a few pieces out of them, but you’re running low on cash. You want to have an immersive Dolby Atmos experience, but got bills to pay and have to be fiscally responsive. Fret not, because we got just the solution for you. The Onkyo SBT-A500 is a great, compact Dolby Atmos-enabled Sound Bar System that comes with an ultra-low profile and an ultra-affordable price-tag. Sure, it’s only a 3.1.2 channel system, but at its price-point, what it offers is truly amazing. 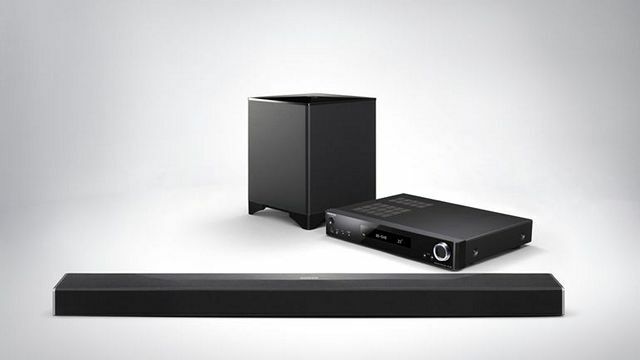 As mentioned already, this is a complete system, which means it comes with a receiver that actually has a fairly efficient digital amplification system with independent power supply to deliver clean power to the sound bar. In terms of connectivity, the receiver comes with 4 HDMI inputs and 1 HDMI output supporting 4K/60fps video and upscaling from 1080p. The wireless sub has its own 50 W amp for deep LFEs in movies and games. You get the L/R channels, dual center drivers and discrete height speakers enabling object-based surround sound. You also get Chromecast built in, DTS Play-Fi technology, airplay as well as fire connect, which will be rolled out via future firmware updates. Assembling a home theater system that is more than just a sum of its parts can be a painstaking process, especially with so many confusing choices at so many varied price-points. Hopefully, our top 10 list of the best Atmos speakers made the job just a bit easier for you if you’re looking to add a piece or two to your existing system. So, do you already use any of the speakers mentioned above, or are you thinking of getting one of them in the foreseeable future? Do leave your thoughts in the comments section below, because we love hearing from you.